The story comes to us from Variety, who gave us the latest update on the situation. According to them, Paramount CEO Jim Gianopulos has been very involved in the deal, but he has yet to give the official greenlight to the sequel. But sources tell them that will most likely happen within the next few weeks. Fincher frequently collaborates with Pitt. Among the projects the two have worked on together are Se7en, Fight Club, and The Curious Case of Benjamin Button. More importantly, Pitt is the one who has been persuading Fincher to direct the sequel. The director has been quite vocal about being weary of directing a sequel. However, it seems that Pitt, who will also produce the sequel, has convinced him to be a part of it. It’s still not clear where the sequel could go, but with Fincher on board as director, we are in for some very juicy visual storytelling. J.A. Bayona was originally tapped to direct the sequel, which was set for a 2016 release. But constant delays pushed the film all the way back to 2017, and by that time Bayona had moved on to other films like A Monster Calls and the upcoming Jurassic World 2. Fincher hasn’t directed a movie since 2014’s Gone Girl. But that doesn’t mean he hasn’t been trying to get other projects off the ground. HBO’s Utopia was a no go, but he has directed three episodes of Netflix’s Mindhunter series. 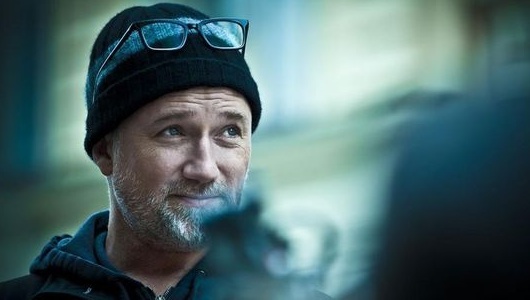 It should be fun to see what Fincher comes up with in World War Z 2. The first film has certainly come a long way since the highly publicized script issues. Now that it’s a bona fide success, it’s easy to see why there is still an interest in a sequel. So hopefully Fincher does sign on to direct the follow-up, which could be released in 2018 or 2019.